' Dayyy from Greece, change of weather again, we have sun here in Athens and 25°C. Gawith Hoggarth Top Black Cherry - Stanwell Saturn [modified]. Almost half way through this bowl of McClelland 40th Anniversary in a 1980 Stanwell 668 medium bend with a multi-colored ferrule, half black sandblasted, half brown smooth, rough top with a black vulcanite stem. A cup of Maxwell House, neat, is my drink. Doing a little house cleaning. Suzy and Molly are supervising as cats always do. 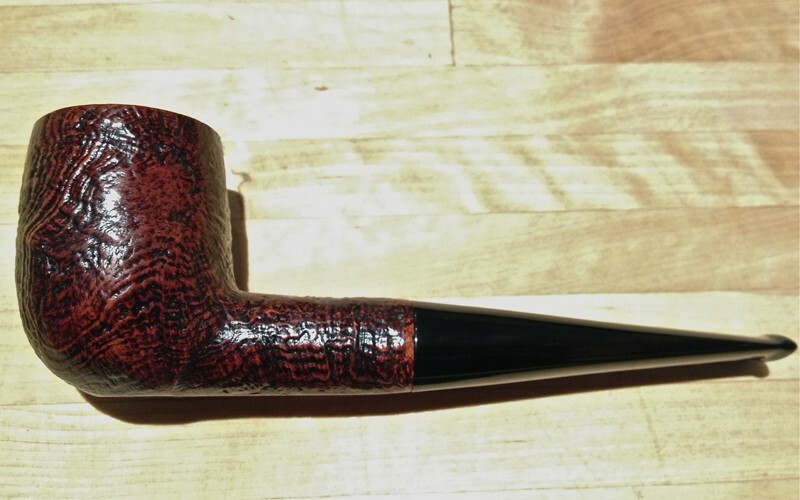 Not far from finishing this bowl of Edward G. Robinson's Pipe Blend in a 1982 black sandblasted paneled slight bend Savinelli flat bottom sitter with a black vulcanite stem. Then, it's lunch time! A bottle of Grape Nehi is my drink. Now smoking Watch City Flake #558 in a smooth straight pre-transition Barling 313 T.V.F. EXEXEL pot with a black ebonite stem. Time for Mad Dog Russo. Just finished smoking D&R Rowland in a smooth straight late 1970s Tinderbox Selected Grecian Briar Dublin with a black vulcanite stem. Ice tea and bergs is my drink. Now smoking 2012 Rolando’s Own in a smooth straight early ‘60s Lane era “William Conrad” Charatan Executive Extra Large stretch apple with diagonal channel cuts on the lower right and left of the bowl along with a black vulcanite double comfort stem. Have enough left for a bowl or so. In a rare Latakia mood today, so I broke out some "Hunters Lodge." It's a house bulk from a local shop which I'm fairly certain is McClelland Coyote Classic. Smoking in a large S&R freehand. Good evening from Greece, i am smoking McLintock Il Camino in a Aristocob with 6mm balsa filter home-made, filtered water beside me. 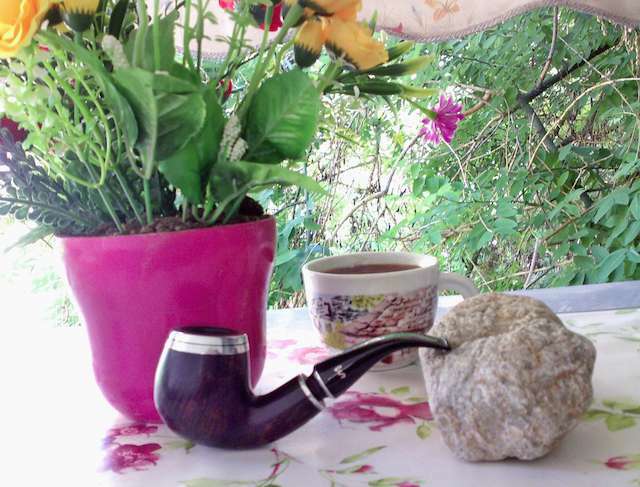 D&R William’s Delight in a 1979 no name French briar smooth full bend egg with a black vulcanite stem. A couple minutes away from smoking Sutliff Lord Fairfax in a medium bend smooth paneled 2017 Turkish Meerschaum with a gold and black swirl acrylic stem. More ice tea to drink on this humid day. 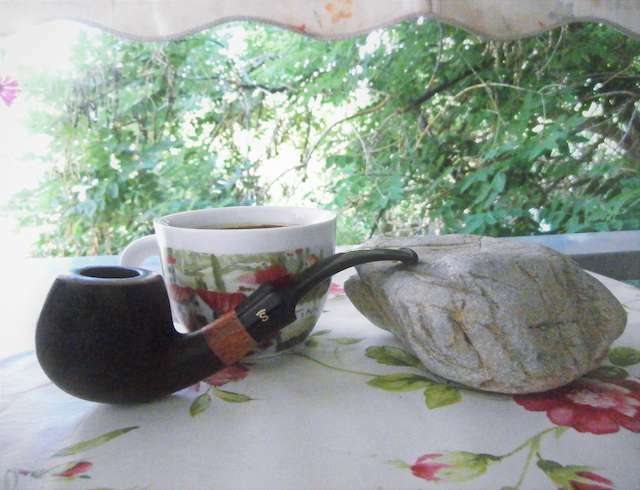 A couple minutes or so away from smoking Penzance in a 1990s smooth Peterson Captain Pete XL80 bulldog with a black vulcanite stem and p-lip. Ice water and bergs is my evening drink. 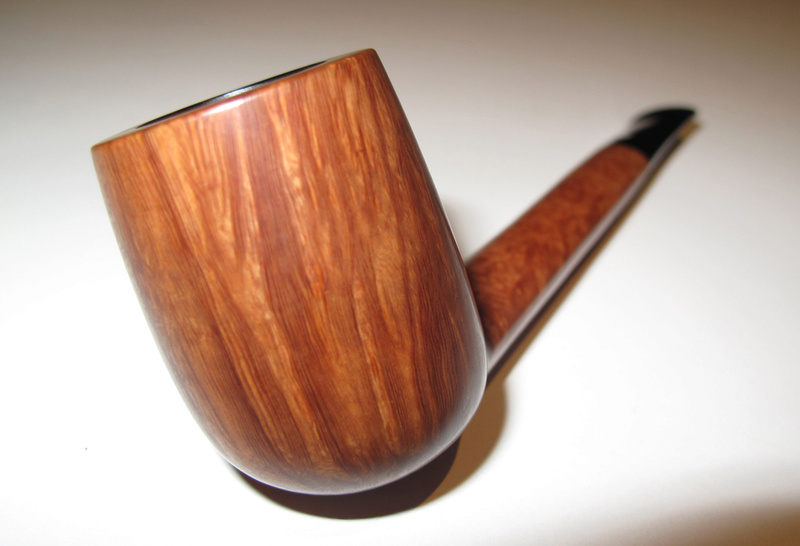 Just finished smoking 2014 Peterson 3P in a smooth straight 1980s James Upshall Walnut pot with a black vulcanite stem. D&R A.B. Rimboche in a smooth straight late 1970s Charatan 4148DC Reg. No. 203573 pot with a black double comfort vulcanite stem. 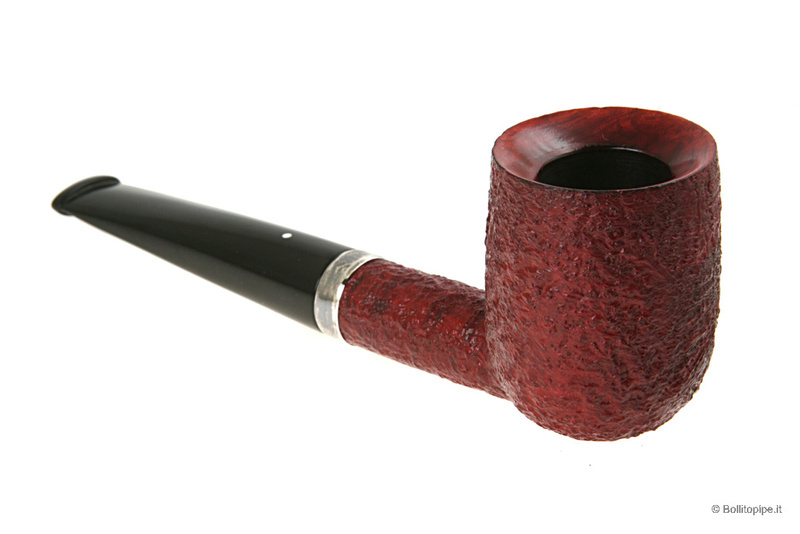 D&R VIP in a 2015 smooth unfinished Savinelli 320KS author with a black vulcanite stem. Savinelli Punto Oro Cavendish - Stanwell Night & Day 84. Starting off my smoking day with P&W #191 in a 2013 medium bend Spillproof corndog cob with a black vulcanite stem. A bottle of Sprite is my drink.